Add 1 scoop to 8 ounces of cold water, milk, yogurt or liquid of your choice. Stir until dispersed then drink immediately. Add more or less liquid to meet your desired taste. ALLERGEN WARNING: Contains ingredients from milk, coconut & soy. Made in a facility that also processes sesame, egg, peanuts, tree nuts, fish/crustaceans/shellfish oils, and wheat products. Keep out of reach of children. Check with a qualified health care professional before taking this product, if you are pregnant or nursing a baby, under 18 years of age, have any known or suspected medical conditions, and/or are taking any prescription or OTC medications. 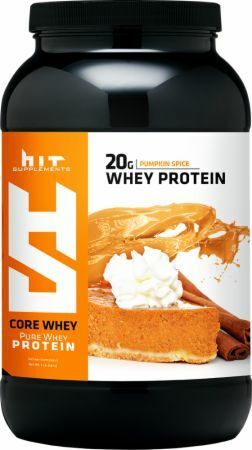 Whey Isolate, concentrate, and hydrolyzed whey are all words you want to see on a label. We’ve got your back and created a superior whey protein that incorporates different proteins that release at different times. We nailed both quality and flavor; now it is simply up to you to maximize your muscle building efforts with this protein. The answer to your protein needs sits before you. Packed with high quality protein and a flawless amino profile means all you need to do is trust the science and research we have done. Whether you are looking for a protein that tastes like dessert, or you are only searching for 20 grams of ridiculous quality protein, we have your answer. Keep climbing, keep pushing limits and never stop improving. Use Core Whey.